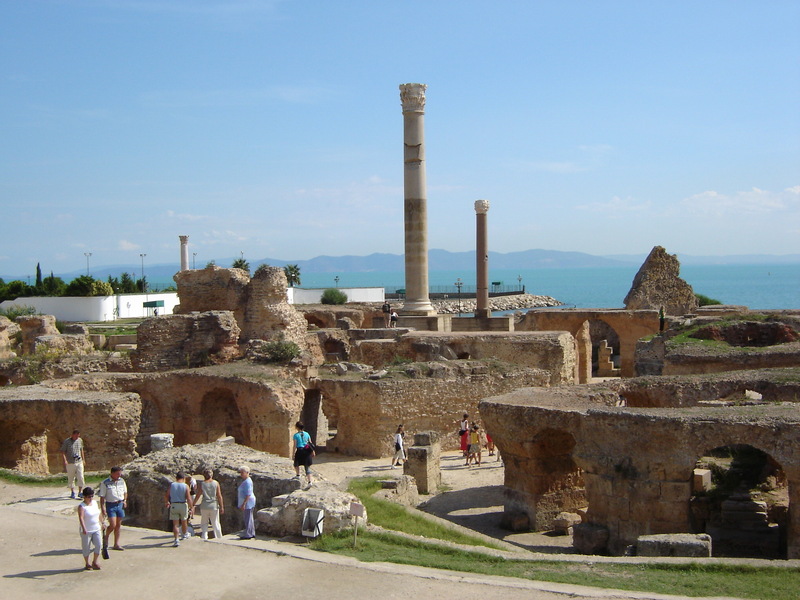 Carthage, a rich and powerful city of the ancient world, once dominated the coast of North Africa. It stood on a peninsula in what is now TUNISIA, with a good harbor on each side. At one time the city controlled an empire that included North Africa, southern Spain, the Mediterranean islands of Sardinia and Corsica, and part of Sicily. The Phoenicians, a trading and seafaring people of the eastern Mediterranean, founded Carthage sometime before 814 B.C. The city grew wealthy as a result of mining silver in North Africa and Spain. After gaining independence from Phoenicia around 600 B.C., Carthage had several conflicts with the Greeks and then began enlarging its territory about 410 B.C. At the time Rome was a rising power, and the Carthaginians and Romans eventually clashed over control of Sicily. Between 264 and 146 B.C. the two powers engaged in a series of struggles that the Romans called the Punic (meaning Phoenician) Wars. Rome finally defeated Carthage and burned it to the ground.